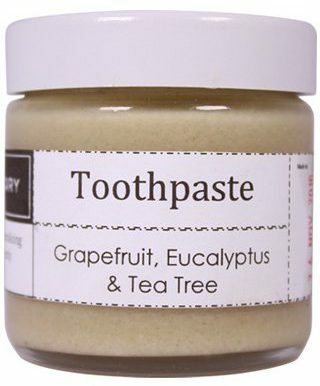 Tasty, edible and wholesome toothpastes. Clean gently and effectively; inhibit the build-up of plaque, promote the remineralisation of teeth and leave breathe fresh. Boosted with minerals and trace elements including safe calcium fluoride. Plus a powerful herbal mouthwash and gargle. You can read lots more about The Apothecary Toothpaste, its ingredients and why it is worth trying, over here. Tasty, edible and wholesome toothpaste with a classic fresh taste. Cleans gently and effectively; inhibits the build-up of plaque, promotes the remineralisation of teeth and leaves breathe fresh. Boosted with minerals and trace elements including safe calcium fluoride. 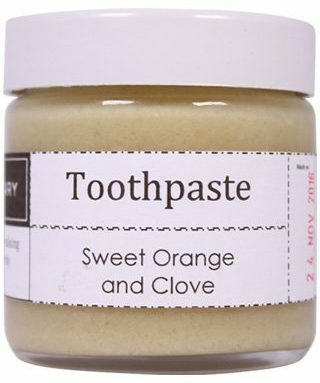 Tasty, edible and wholesome toothpaste with a sweet and slightly spicy taste that is popular with children. Promotes white teeth and soothes sensitive teeth. Cleans gently and effectively; inhibits the build-up of plaque, promotes the remineralisation of teeth and leaves breathe fresh. Boosted with minerals and trace elements including safe calcium fluoride. 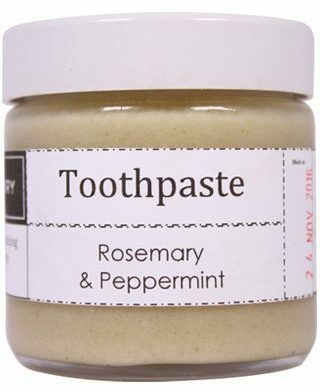 Tasty, edible and wholesome toothpaste that combats gum disease, decay, bad breath and mouth ulcers. Cleans gently and effectively; inhibits the build-up of plaque, promotes the remineralisation of teeth and leaves breathe fresh. Boosted with minerals and trace elements including safe calcium fluoride. Harnesses powerful antiseptic herbal oils and disinfectant mineral salts to fight infection or decay; soothe, treat and help prevent ulcers and sore throat; and ensure fresh breath.